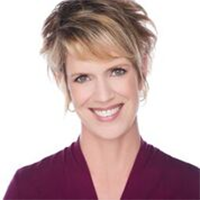 Val joined AURA’s Headquarters team in 2015 as Vice President for Operations/Chief of Staff. In these roles, he is responsible for overall corporate risk management, as well as day-to-day business leadership of the organization. 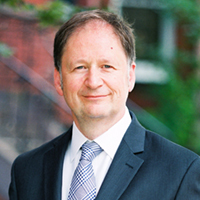 Val began his career in the aerospace industry, holding positions in finance and contracts management. He then moved to AURA’s Space Telescope Science Institute, ultimately serving as the Associate Director for Administration until his transition to AURA Corporate Office. Val received an MBA with a concentration in Quantitative Analysis from the University of Kentucky. Debbie Johnson, CPA, joined AURA in 2016 and has oversight to finance, administrative and human resources divisions within the Association. Ms. Johnson began her career with KPMG, reaching Senior Manager while leading auditing and consulting engagements for nonprofit and public sector organizations with a focus on Federally funded organizations. She then served as the Chief Financial Officer for the American Diabetes Association. Ms. Johnson has been a member of the Not-for-Profit Financial Statements Project Resource Group of the FASB, providing industry insight and guidance. Ms. Johnson is a graduate of the University of Virginia. Dana Lehr joined AURA in 2015 with deep experience of the National Science Foundation’s astronomy programs, having managed portfolios in large facilities operations, individual investigator grants, and career development awards. Most recently, Lehr was Program Manager for NSF’s Cooperative Agreement to operate the National Radio Astronomy Observatory and the North American partnership in the Atacama Large Millimeter/submillimeter Array (ALMA). 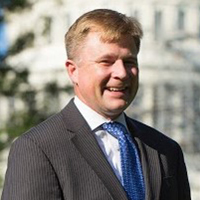 Previously, Lehr served as Acting Deputy Division Director for astronomy and as Program Manager for the Arecibo Observatory. 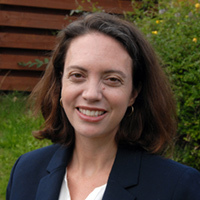 Lehr earned her Ph.D. in Physics from Stanford University with theoretical work on the relativistic signatures of compact objects. Before joining AURA, Weirich served on the U.S. Senate’s Committee on Appropriations, most recently in the position of Majority Clerk for the Commerce, Justice, Science, and Related Agencies Subcommittee under the leadership of Senators Shelby and Cochran, and previously under Senator Barbara Mikulski. He directly managed several science accounts including NASA Astrophysics, NSF Division of Astronomical Sciences, Gemini Observatory, NOAO, and NSO as well as various justice, trade, and economic agencies. Weirich received a BS from the Maine Maritime Academy and a MS in Maritime Archeology from the University of Southampton. Phil Puxley comes to AURA from NSF where, as Program Director, he was responsible for the Atacama Large Millimeter/submillimeter Array, with oversight of U.S. contributions to the ALMA construction project and the U.S. operations funding. He was also responsible for program management of NRAO. Previously, Puxley was Associate Director for Science Operations at Gemini Observatory, Head of Gemini South, Gemini South Head of Science Operations, and Interim Associate Director for Gemini North and South. He received his Ph.D. in Astrophysics from University of Edinburgh and held a post-doctoral position at the University of Hawai’i Institute for Astronomy. Lotz received her PhD in astrophysics from Johns Hopkins University in 2003 and specializes in galaxy evolution and morphology, the high-redshift Universe and gravitational lensing. She most recently held a tenured associate astronomer position at STScI and a joint appointment as a research scientist at Johns Hopkins University. She is a leading expert in the field of galaxy mergers, and makes use of both ground-based and space telescopes to track the growth of galaxies over cosmic time. She led the Hubble Frontier Fields program, one of the largest programs undertaken with Hubble to detect the faintest distant galaxies yet seen. 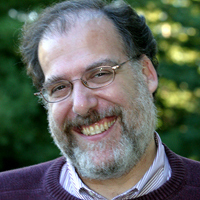 Steve Kahn received his undergraduate degree from Columbia College, a Ph.D. in physics from UC Berkeley and was a post-doctoral research fellow at the Harvard-Smithsonian Center for Astrophysics. Kahn served as the Associate Laboratory Director of SLAC National Accelerator Laboratory and was the Chair of the Physics Department at Stanford and Columbia Universities. He has made significant contributions to X-ray astronomy and was the US Principal Investigator for the development of the Reflection Grating Spectrometer. Kahn is a Fellow of the American Physical Society, the American Association for the Advancement of Science, and the American Academy of Arts and Sciences. 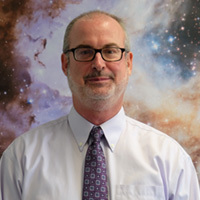 Bob Blum transitioned to Acting Director for LSST Operations in October, 2018 after 21 years at NOAO, where he was Deputy Director for 10 years. Blum’s research interest is large survey science with a focus on studies of the Milky Way and Local Volume. Prior to his role as Deputy Director, Blum spent 10 years at the Cerro Tololo Inter-American Observatory in Chile as a staff astronomer. He joined NOAO after completing a Hubble Fellowship at the University of Colorado where he worked on near infrared studies of massive stars and star clusters. 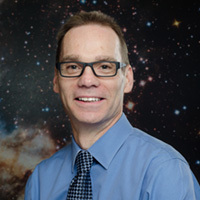 Blum received his PhD from Ohio State University and holds a BS and MSc in aeronautical and astronautical engineering from the University of Washington. Blum is a member of the American Astronomical Society and the International Astronomical Union. 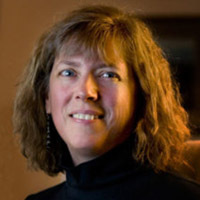 Lori Allen joined NOAO in 2009 from the Harvard-Smithsonian Center for Astrophysics where she was a member of the IRAC instrument team for the Spitzer Space Telescope. 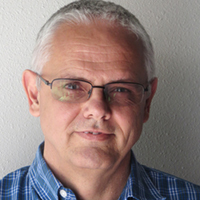 Allen has served as Associate Director of Kitt Peak since 2014. 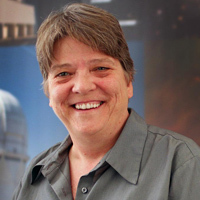 In the position of Acting Director of NOAO, she is responsible for top level management of NOAO and continuing senior management of Kitt Peak. 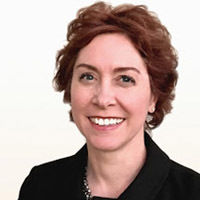 Allen received her Ph.D. from the University of Massachusetts, Amherst and is a member of the Spitzer Science Center Oversight Committee and of the AAS committee on Light Pollution, Radio Interference and Space Debris. Her research interests include wide-field surveys, star and planet formation, protoplanetary disk evolution, asteroids and galactic archaeology. 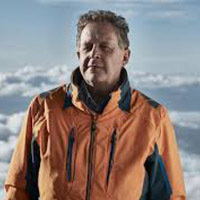 Prior to Valentin Pillet’s appointment as Director of NSO in 2013, he served as a Senior Scientist at the Instituto de Astrofíscia de Canarias, where he was the Co-Principal Investigator for the Polarimetric and Helioseismic Imager instrument to be flown on the European Space Agency’s Solar Orbiter mission, and Principal Investigator for the Imaging Magnetograph Experiment that has flown as part of the Sunrise balloon-borne telescope. Pillet earned his bachelor’s degree from the Science University of Valencia and a Ph.D. in Astrophysics from the University of La Laguna. He was a member of the Science Working Team of the ESA/NASA Solar Orbiter mission and was President of the Division II of the IAU “The Sun & the Heliosphere” from 2010-2012. Ken Sembach has been deeply involved in the scientific, operational, and managerial aspects of the Hubble Space Telescope for the past 15 years. He has served as interim deputy director, Hubble mission head, and Hubble project scientist. 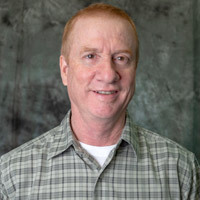 Previously, Sembach was the Far Ultraviolet Spectroscopic Explorer (FUSE) deputy project scientist for Large Science Programs from 1996 to 2001 at the Johns Hopkins University. He also was a NASA Hubble Fellow from 1992 to 1995 at the Massachusetts Institute of Technology. Sembach received a B.A. in physics with honors in 1988 from the University of Chicago and a Ph.D. in astronomy in 1992 from the University of Wisconsin-Madison.